Here at WICT SE we know that each of our members is looking to stay on top of all the latest topics. But as ladies constantly on the move in the Cable & Telecom industry we need instant gratification. Our WICT team has reached out to members to get their input on the books you need to add to your reading list. And even better than that, we are telling you where to find it and giving you our own review. Why rely on Amazon reviews alone? Get your book list from the ladies are in the trenches with you. We hope you enjoy! This book explores the fundamentals of mentoring. According to co-authors William Rothwell and Peter Chee when done right, mentoring is good for the mentor, the mentee, and the mentee’s organization. This comprehensive guidebook is packed with essential information on all aspects of mentoring, featuring everything from fundamentals and case studies to actual worksheets and handouts you can use with employees. 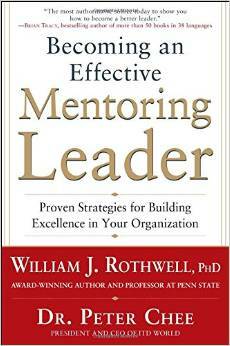 Becoming an Effective Mentoring Leader: Proven Strategies for Building Excellence in Your Organization is a quick, insightful read and works well as a tool for expanding one’s knowledge on effective mentoring strategies and growing/improving their organizations current program. Why should the WICT-SE audience consider reading this book? The book starts off with a quote that I feel answers this question perfectly: “If your actions inspire others to dream more, learn more, do more and become more, you are a leader”. Becoming an Effective Mentoring Leader: Proven Strategies for Building Excellence in Your Organization is not only a “how-to” guide for current mentors, but also a development tool for those who are eager to grow professionally. What are the main takeaways from the book? “What do you hope to gain in this mentor-mentee relationship? What knowledge, skills, abilities or personality traits must he or she have? In what ways can you help your mentee the most? What do you foresee as the major obstacles you will encounter in providing quality mentoring? The importance of laying a strong foundation for a successful mentorship. Developing a meaningful mentor-mentee relationship does not happen over night. It is imperative that a mentor has a strong sense of time management and affords themselves the time and frequency necessary to establish a bond between the mentee and themselves. Establishing a Connection, Boundaries and Goals are the pillars co-authors William Rothwell and Peter Chee suggest lead to a strong foundation for a successful mentorship. How does this book enable the mission and/or core values of WICT-SE? The mission of WICT is to develop women leaders. In order to achieve this goal, women leaders must be able to effectively mentor and steer the next generation of women leaders in our industry. This book helps you discover the importance of the mentor-mentee relationship and if not already engaged in a relationship as such, it provides tips and tools on how to discover your reason to engage in a mentor-mentee relationship.